Night Nurses, often referred to as “Baby Nurses,” are a wonderful investment for parents of newborn babies, or even twins. While you might think your biggest concern is getting much needed rest and sleep at night, the fact is it isn’t really all about the luxury of a good night’s sleep – it’s much more than that! Naturally, most parents of newborns think about the here and now, and aren’t really looking into the next several months for first year of their baby’s life. 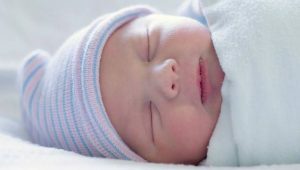 Because night nurses have extensive experience in sleep and routine training, it’s really an investment in your baby’s entire first year of life. These “experts” in routine and sleep training for babies can make your life much easier, long after you no longer require an extra set of hands! The term “nurse” may be a bit confusing, as night nurses are actually non-medical newborn specialists who are highly experienced in the care of infants from their first day home through the following weeks or even months. You may even want to consider these specialists a nanny who helps around the clock with feeding, bathing, diapering, rocking, and the dozens of other tasks parents often have to take care of themselves, leaving them exhausted. Perhaps the greatest thing about having a baby nurse help you care for a newborn during those first few weeks is the nurse’s ability to help establish sleeping and eating patterns, which can dramatically reduce the chaos in what used to be your relatively calm life. For parents who have a first child and literally no experience bathing, feeding, swaddling, and caring for a little human life, a baby nurse can be a godsend. Those first few weeks can be absolutely brutal on first-time parents of newborns (and especially those with multiple births), but an experienced night nurse can help smooth the transition not only for parents, but the new baby as well. Babies have to develop regular habits and patterns just as adults do; these wonderful nurses are worshiped by many parents who without help, may have found themselves still trying to establish eating/sleeping patterns even six months or a year after their baby came home. Does having help with your newborn baby by a professional who is caring, capable, and trustworthy during those first few weeks sound like heaven? Contact The Hazel Agency today to learn more about our baby nurses and other services.